South Korea will elect a new president in two days. Each candidate has acknowledged the plight of animals, and the desperate need for improvement. Will they do anything about the horrors of the dog and cat meat trade? But what we do know is your voice is being heard. Your pressure, and your support of brave advocates within Korea is having an impact, even on presidential candidates. Yes, complete eradication of the hellish Dog and Cat meat trade is a long road for us. Stay involved! Keep up the pressure! And we will see that day! Click HERE to see the Article- Korea Herald, Who will be the president for animals? 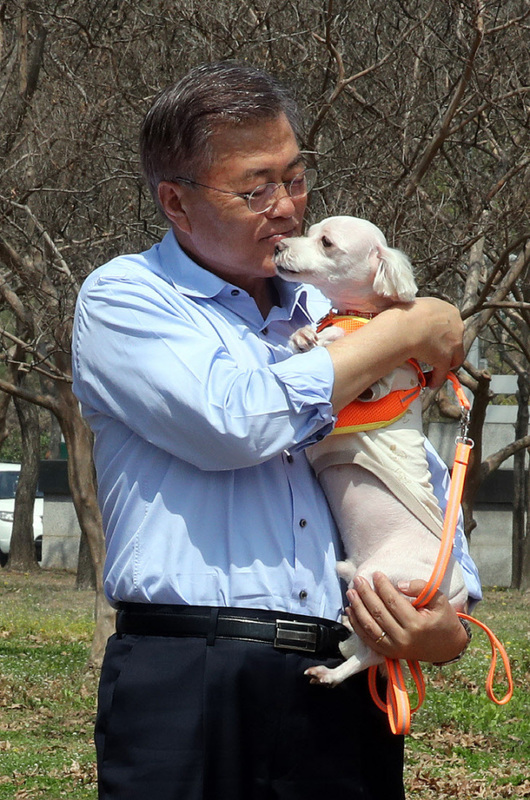 Photo: Moon Jae-in of the Democratic Party of Korea plays with a dog at an animal park in Seoul, April 15.